This is actually insane! You can draw in mid air! Need I say any more. Just watch the video. Is this the future of how we use computers? Leap Motion is a product that lets you control your computer by waving your hands in front of it. The accuracy it picks up is amazing, and it could open up a whole range of possibilities. I think it's pretty cool. Check it out! This latest gadget enables you to walk around the airport whilst eating, using your phone or whatever you may want to do. And your suitcase will stay right beside you. It simply connects to your phone and wherever you go, it goes. Check out the video. Ever tried sketching something for web but struggled to get the dimensions right? Struggle no more with this pixel ruler. 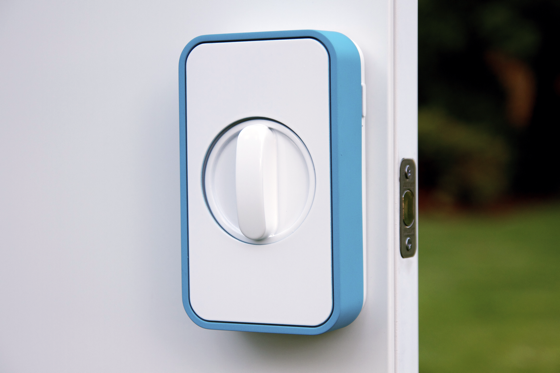 For all those times you've wished you could lock or unlock your house remotely. Now you can with Lockitron's remote deadbolt lock controlled straight from your phone. 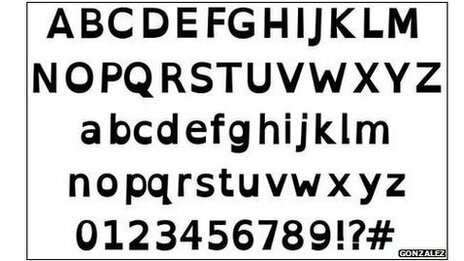 A new free font has been developed which helps people with dyslexia to read online content. While Google are going for as many styles as possible, Facebook are going for the biggest single room. Frank Gehry was given a brief of creating the largest open plan office in the world. It looks like he succeeded. The latest item to be made smart is the window with this nifty invention from Samsung combining a fully functioning window with an interactive t.v screen. Google seems to be trying to break a record for the most number of styles in one building. Interior design company PENSON have designed their new offices on Tottenham Court Road and it consists of some interesting styles. QR codes are a very useful connection between the print and digital worlds, but they have never been a designer's best friend. They are not the most beautiful of elements to incorporate into a design. Printechnologic has developed a ink which your smartphone can read without even having to use the camera. Just place on the screen of your phone and it will read the electronic code embeded inside the ink.